Day 87, Tonight was my last salon with my students before they are all qualified as Hair Stylists. 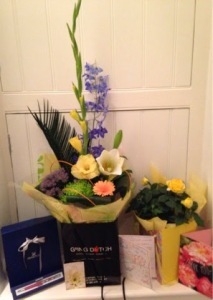 Some of them bought me these lovely gifts, flowers and cards. Thank you so much, It means so much that you thought to buy me something or write nice words in a card.